Cleaning station for wall mounting. 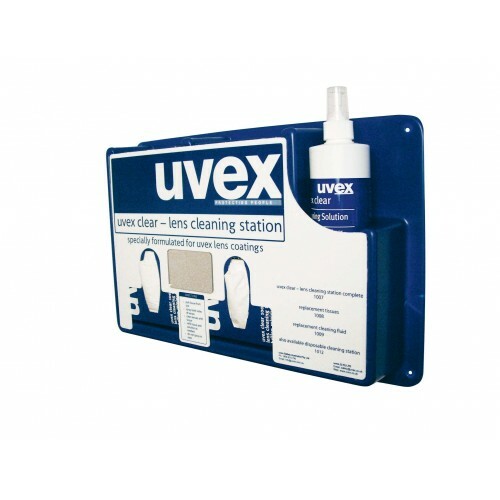 Lightweight and aesthetically pleasing cleaning station enables your employees to improve their own safety with a clear field of vision as well as make their protective glasses last that much longer by means of a simple and uncomplicated cleaning process. Supplied complete with: 1x 0.5ltr lens cleaning solution. 1x pack of 700 silicone-free lens cleaning tissues.